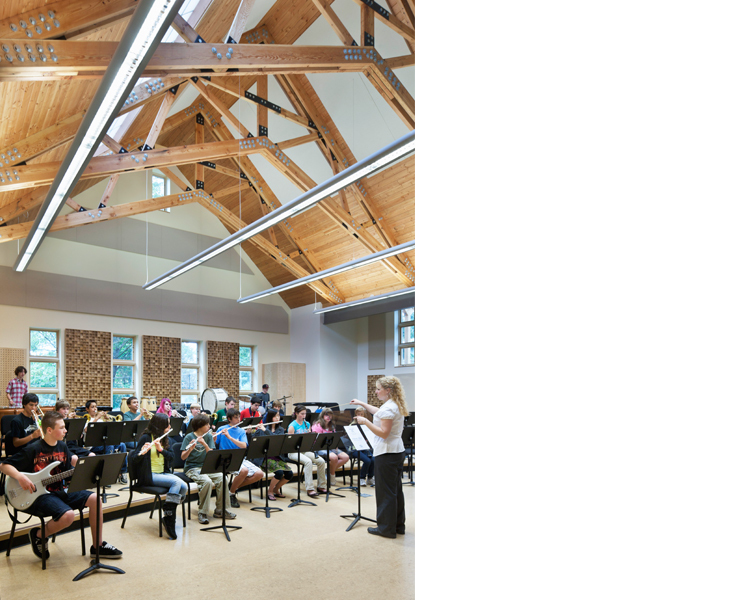 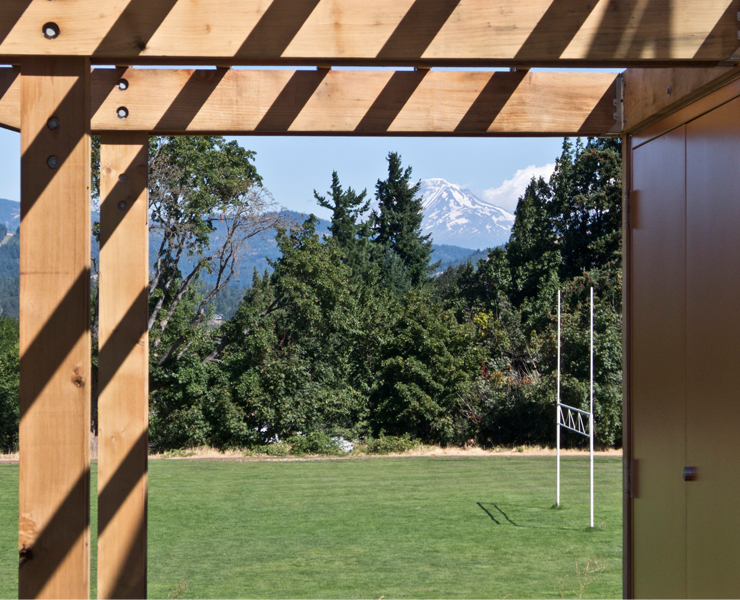 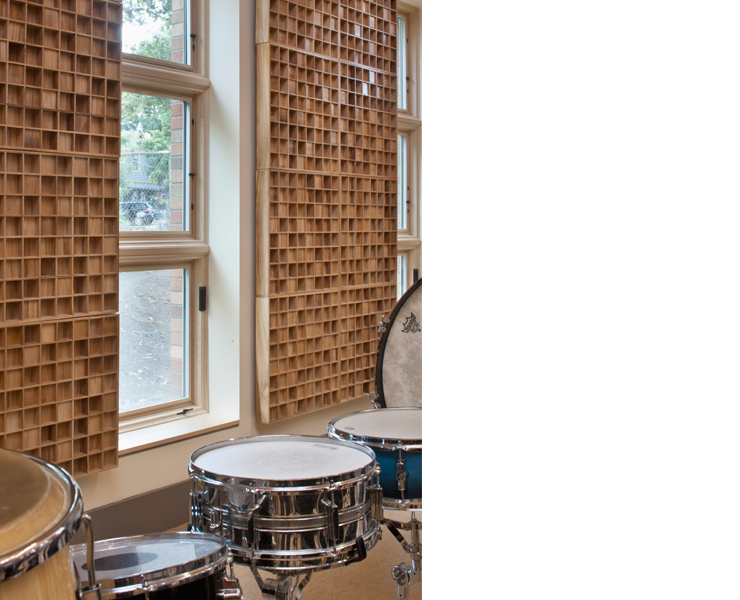 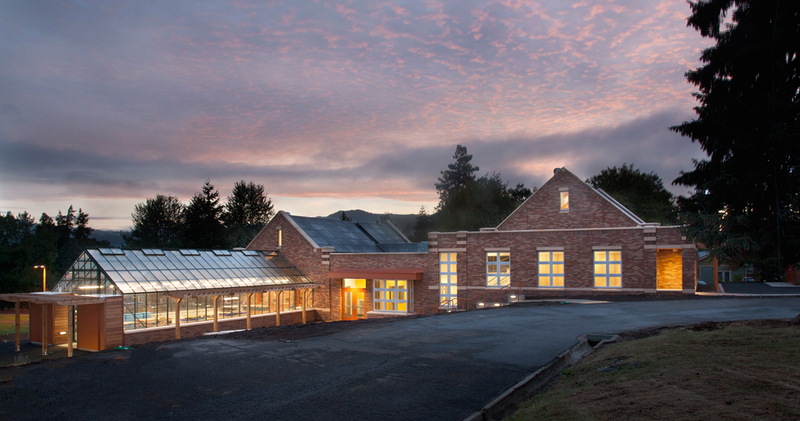 The Hood River Middle School project consists of renovations of the 1927 National Historic Register main building and a new free standing environmental sciences lab and music facilities. 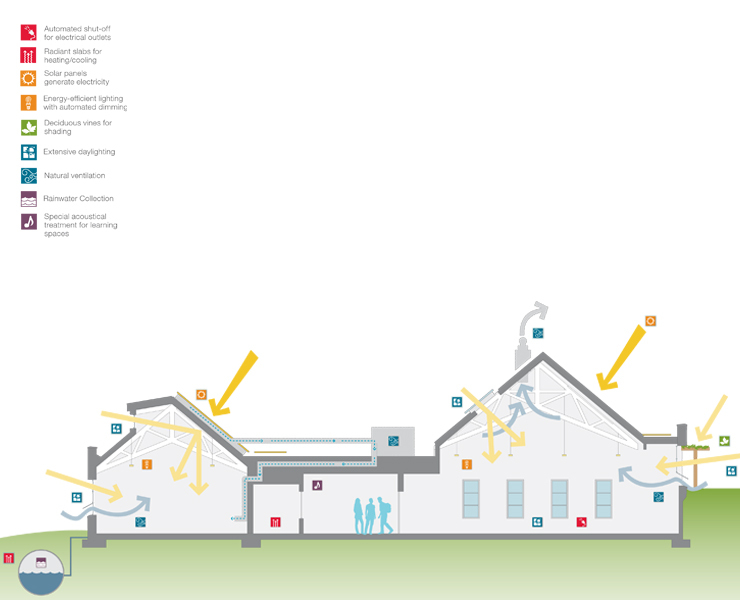 The community and Historic Review Commission desired a new building design that was in keeping with the existing architectural massing, materials and details. 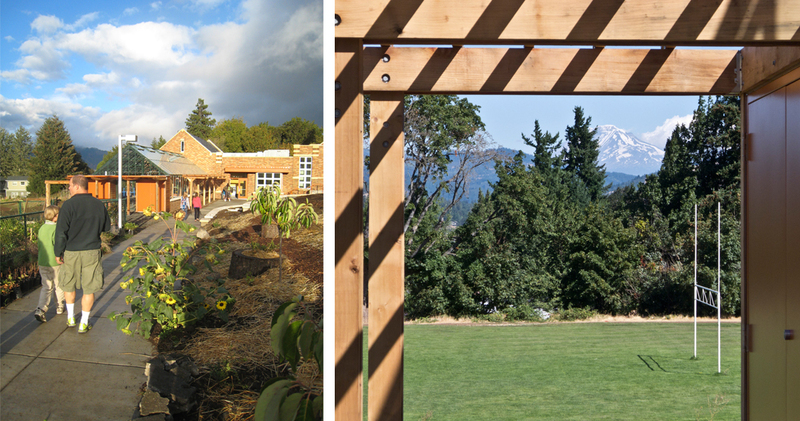 The new building is designed to be LEED Platinum/Net-Zero and includes a large greenhouse and edible garden. 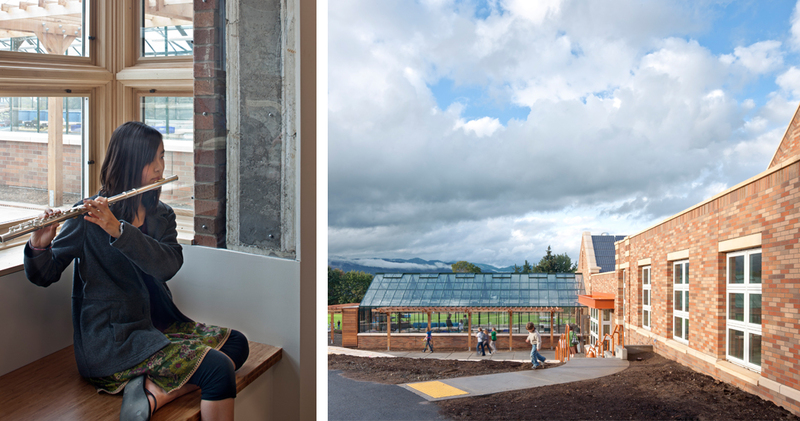 Teachers at Hood River Middle School established a curriculum that incorporated sustainable concepts and wanted to use the new building as a “teaching tool” that would illustrate sustainable ideas put into practice. 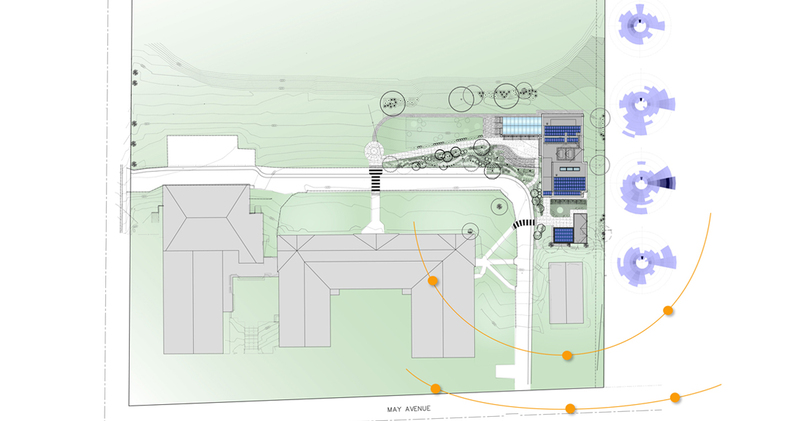 Opsis began the process with an eco-charrette that included teachers, students, designers and engineers. 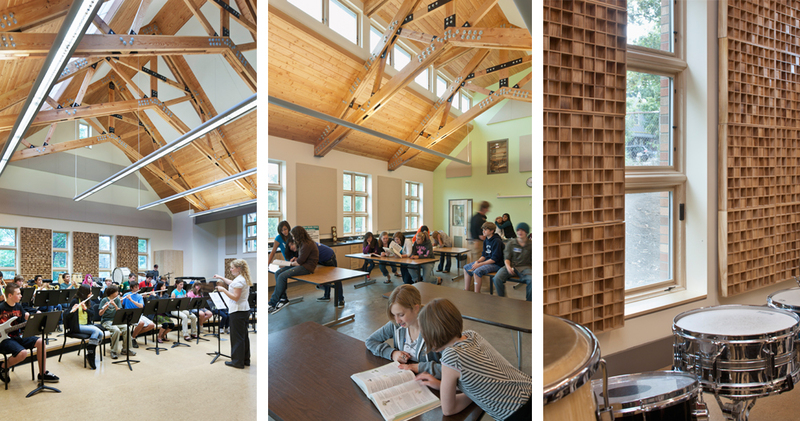 Together they set goals for creating a building that was Net-Zero in both water and energy use. 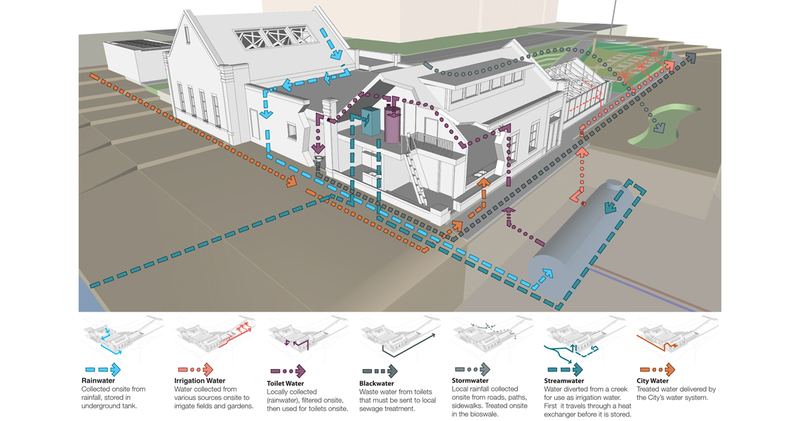 While constrained by a modest budget, they also wanted to use sustainable design techniques to help building users understand how the systems work and how their actions are a critical component in the building’s use of resources. 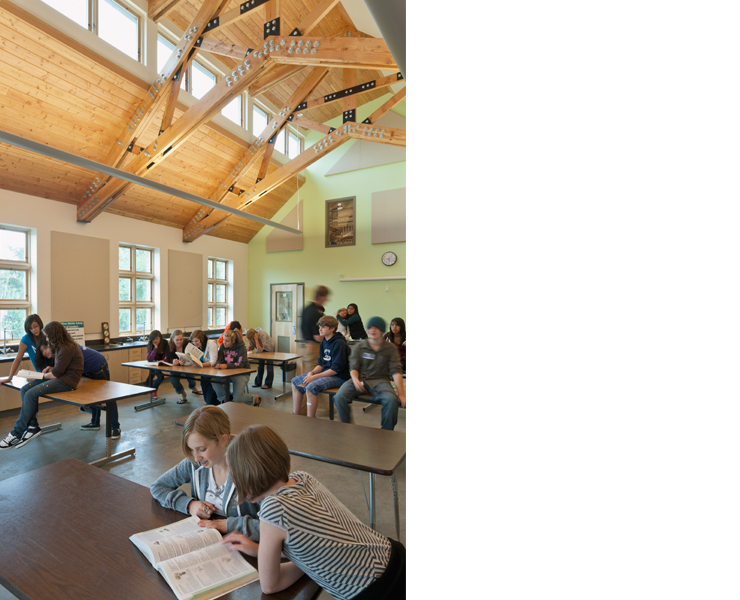 The goal of the design was to meet Net-Zero energy by producing as much energy as the building consumes. 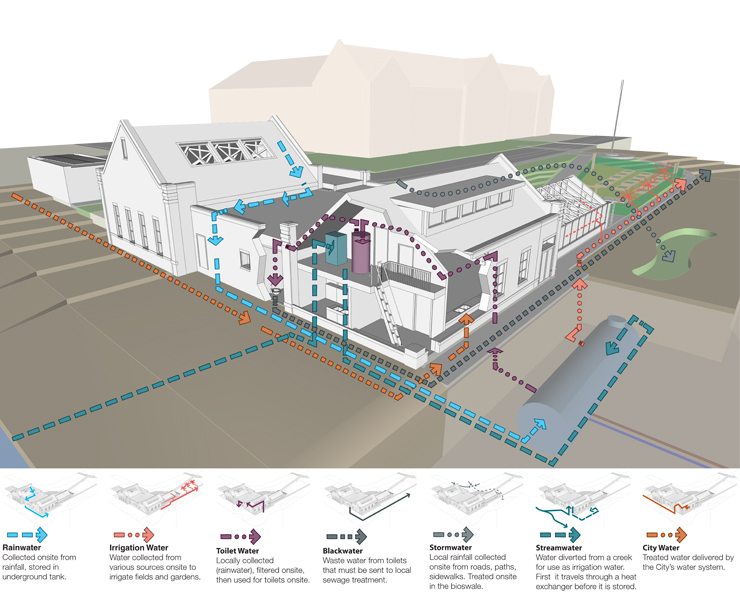 To reach this goal, energy savings and production measures include, geothermal heating, cooling using heat exchange with water from an adjacent stream, a radiant slab, and a 35 kilowatt solar panel system. 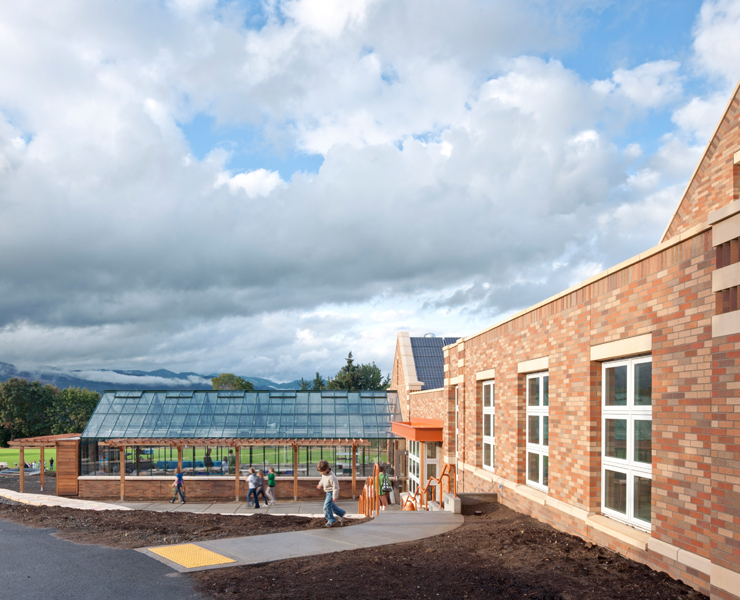 The design team also performed daylighting studies to reach an ideal combination of translucent skylights, monitor windows, traditional windows and shading devices with deciduous vines on trellises. 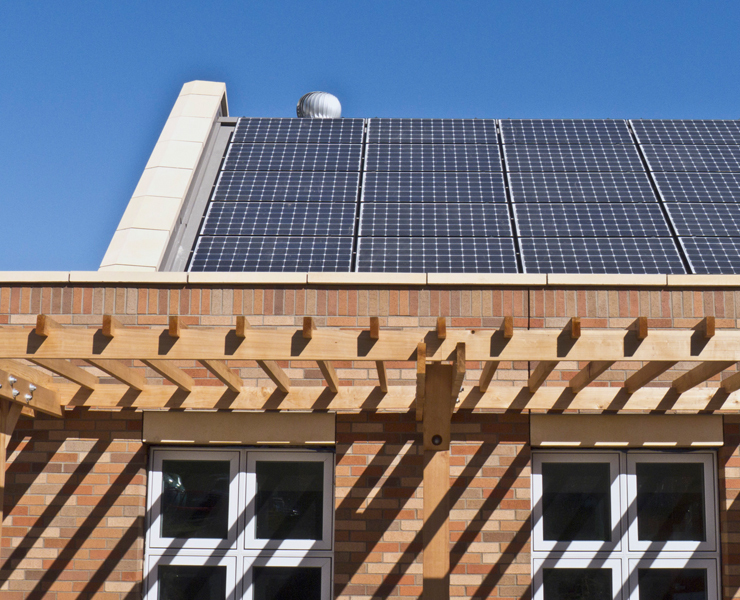 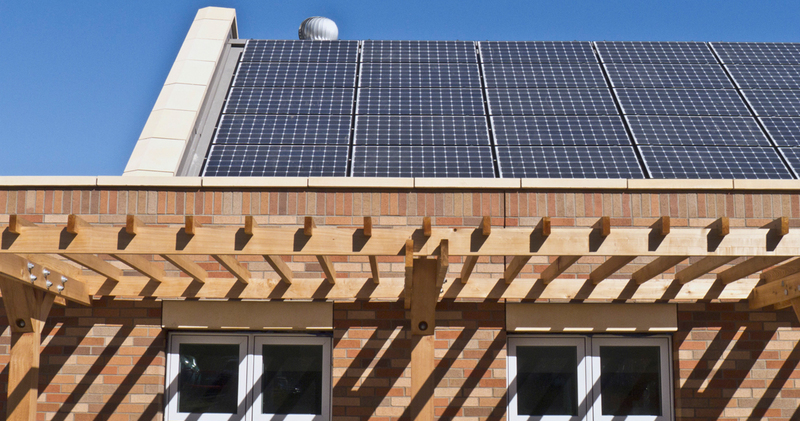 Part of the curriculum at the school now includes managing a resource budget and tracking the building’s performance through a “building dashboard”— a website that tracks energy use and production, water use and collection and weather conditions. 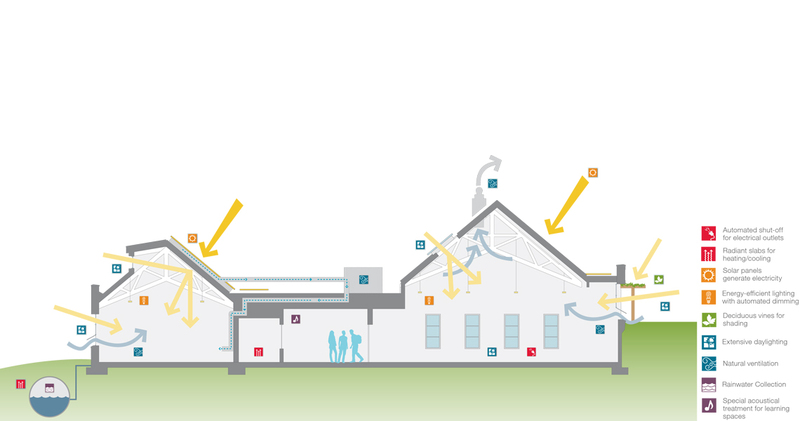 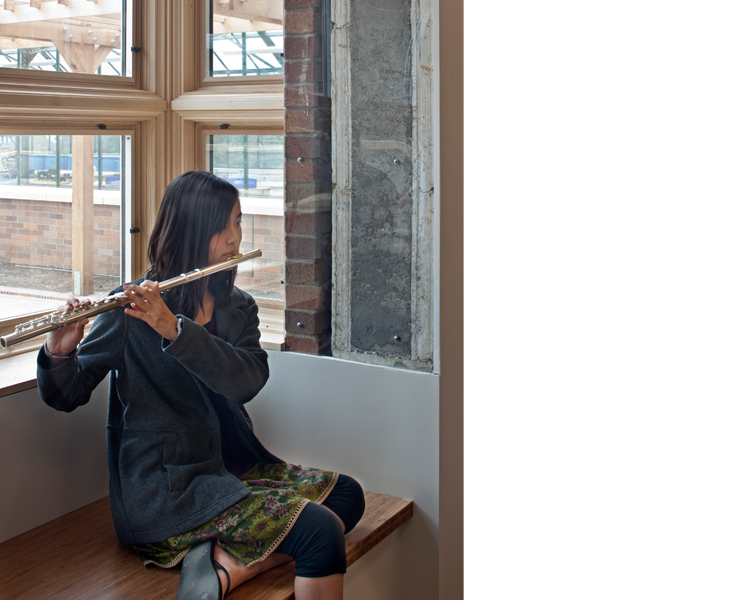 In addition, the natural ventilation system is designed with a simple user interface to encourage students to think about how they interact with the built environment. 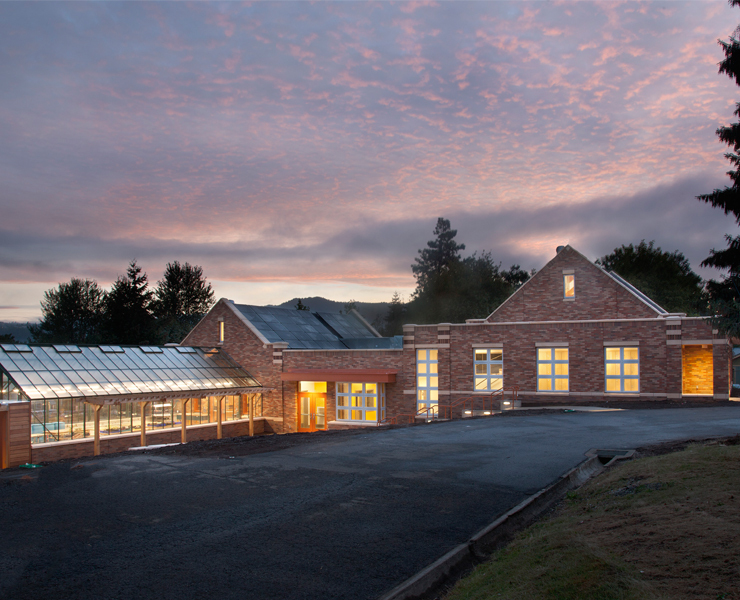 The building collects rainwater for use in toilets and for irrigation, as well as features low-flow and waterless plumbing fixtures. 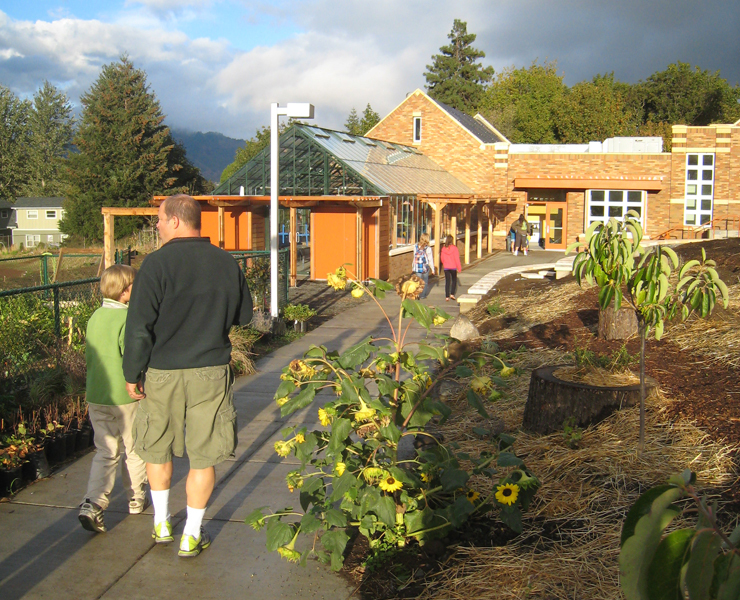 Stormwater treatment is done on-site using a bio-swale with native planting. 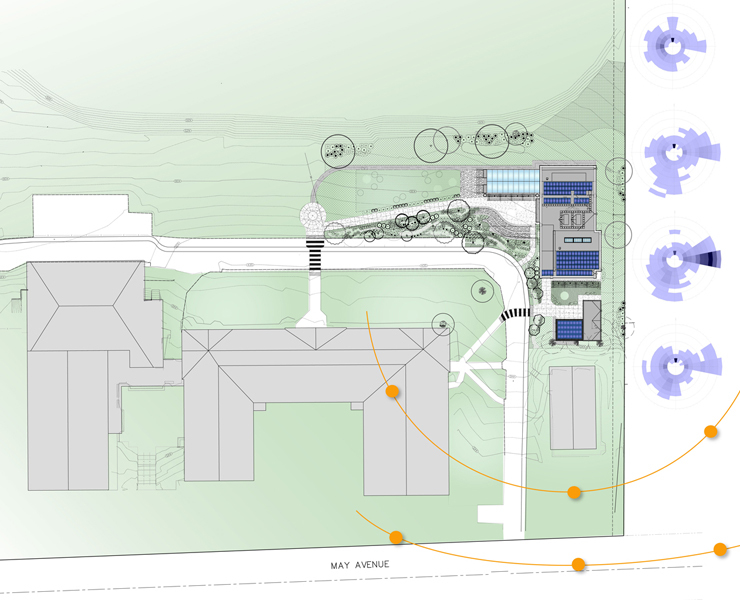 Working collaboratively with the administration and students to set ambitious goals early on, the team was able to achieve a design that will truly help the community’s next generation move toward a more sustainable future.